In addition to being regulated by the Fair Debt Collection Practices Act (FDCPA), Illinois collection agencies are also regulated by Illinois debt collection laws. Discover: Illinois collection requirements, bad check laws (NSF), statutes of limitations for both debts and judgments, garnishments plus Illinois collection agency license and bonding information. Triple check amount up to $500, attorney fees & court costs. 15% of gross wages or disposable earnings for workweek up to 45 x fed. min. hourly wage, whichever is greater. Exemption for out-of-state collectors: Out-of-state collectors may be exempt if  not soliciting accounts in Illinois;  their state of residence has laws which provide similar reciprocity |allow out-of-state agencies to collect only|; and  the state in which the non-Illinois agency resides extends the same privileges to out-of-state agencies. § (225 ILCS 425/) Collection Agency Act. Sec. 1. This Act shall be known and may be cited as the “Collection Agency Act”. Sec. 1a. Declaration of public policy. The practice as a collection agency by any entity in the State of Illinois is hereby declared to affect the public health, safety and welfare and to be subject to regulation and control in the public interest. It is further declared to be a matter of public interest and concern that the collection agency profession merit and receive the confidence of the public and that only qualified entities be permitted to practice as a collection agency in the State of Illinois. This Act shall be liberally construed to carry out these objects and purposes. It is further declared to be the public policy of this State to protect consumers against debt collection abuse. “Consumer credit transaction” means a transaction between a natural person and another person in which property, service, or money is acquired on credit by that natural person from such other person primarily for personal, family, or household purposes. “Consumer debt” or “consumer credit” means money, property, or their equivalent, due or owing or alleged to be due or owing from a natural person by reason of a consumer credit transaction. “Creditor” means a person who extends consumer credit to a debtor. “Debt” means money, property, or their equivalent which is due or owing or alleged to be due or owing from a natural person to another person. “Debt collection” means any act or practice in connection with the collection of consumer debts. “Debt collector”, “collection agency”, or “agency” means any person who, in the ordinary course of business, regularly, on behalf of himself or herself or others, engages in debt collection. “Debtor” means a natural person from whom a debt collector seeks to collect a consumer debt that is due and owing or alleged to be due and owing from such person. “Department” means Division of Professional Regulation within the Department of Financial and Professional Regulation. “Director” means the Director of the Division of Professional Regulation within the Department of Financial and Professional Regulation. “Person” means a natural person, partnership, corporation, limited liability company, trust, estate, cooperative, association, or other similar entity. 11. Any person or business under contract with a creditor to notify the creditor’s debtors of a debt using only the creditor’s name. Sec. 2.04. Child support indebtedness. (a) Persons, associations, partnerships, corporations, or other legal entities engaged in the business of collecting child support indebtedness owing under a court order as provided under the Illinois Public Aid Code, the Illinois Marriage and Dissolution of Marriage Act, the Non-Support of Spouse and Children Act, the Non-Support Punishment Act, the Illinois Parentage Act of 1984, or similar laws of other states are not restricted (i) in the frequency of contact with an obligor who is in arrears, whether by phone, mail, or other means, (ii) from contacting the employer of an obligor who is in arrears, (iii) from publishing or threatening to publish a list of obligors in arrears, (iv) from disclosing or threatening to disclose an arrearage that the obligor disputes, but for which a verified notice of delinquency has been served under the Income Withholding for Support Act (or any of its predecessors, Section 10-16.2 of the Illinois Public Aid Code, Section 706.1 of the Illinois Marriage and Dissolution of Marriage Act, Section 4.1 of the Non-Support of Spouse and Children Act, Section 26.1 of the Revised Uniform Reciprocal Enforcement of Support Act, or Section 20 of the Illinois Parentage Act of 1984), or (v) from engaging in conduct that would not cause a reasonable person mental or physical illness. For purposes of this subsection, “obligor” means an individual who owes a duty to make periodic payments, under a court order, for the support of a child. “Arrearage” means the total amount of an obligor’s unpaid child support obligations. (a-10) The Department of Professional Regulation shall determine a fee rate of not less than 25% but not greater than 35%, based upon presentation by the licensees as to costs to provide the service and a fair rate of return. This rate shall be established by administrative rule. Without prejudice to the determination by the Department of the appropriate rate through administrative rule, a collection agency shall impose a fee of not more than 29% of the amount of child support actually collected by the collection agency subject to the provisions of subsection (a-5). This interim rate is based upon the March 2002 General Account Office report “Child Support Enforcement”, GAO-02-349. This rate shall apply until a fee rate is established by administrative rule. (e) Uses a fictitious name in collecting its own accounts, bills, or debts with the intention of conveying to the debtor that a third party has been employed to make such collection. Sec. 4. No collection agency shall operate in this State, directly or indirectly engage in the business of collecting, solicit claims for others, have a sales office, a client, or solicit a client in this State, exercise the right to collect, or receive payment for another of any account, bill or other indebtedness, without registering under this Act except that no collection agency shall be required to be licensed or maintain an established business address in this State if the agency’s activities in this State are limited to collecting debts from debtors located in this State by means of interstate communication, including telephone, mail, or facsimile transmission from the agency’s location in another state provided they are licensed in that state and these same privileges are permitted in that licensed state to agencies licensed in Illinois. (a) Any person who practices, offers to practice, attempts to practice, or holds oneself out to practice as a collection agency without being licensed under this Act shall, in addition to any other penalty provided by law, pay a civil penalty to the Department in an amount not to exceed $5,000 for each offense as determined by the Department. The civil penalty shall be assessed by the Department after a hearing is held in accordance with the provisions set forth in this Act regarding the provision of a hearing for the discipline of a licensee. (b) The Department has the authority and power to investigate any and all unlicensed activity. In addition to taking any other action provided under this Act, whenever the Department has reason to believe a person, association, partnership, corporation, or other legal entity has violated any provision of subsection (a) of this Section, the Department may issue a rule to show cause why an order to cease and desist should not be entered against that person, association, partnership, corporation, or other legal entity. The rule shall clearly set forth the grounds relied upon by the Department and shall provide a period of 7 days from the date of the rule to file an answer to the satisfaction of the Department. Failure to answer to the satisfaction of the Department shall cause an order to cease and desist to be issued immediately. (3) such other information as the Department may deem necessary. Sec. 6. (a) If the Director determines that the applicant meets the qualifications for registration required by this Act, he or she shall issue a certificate of registration forthwith. Each application for a certificate shall be acted upon within 45 days of receipt of the application by the Department. If the application is deficient in form, the Director shall reject it and notify the applicant of the nature of the deficiency. Such rejection shall be without prejudice to the filing of a new application. If the Director finds that the applicant is not qualified under this Act, he shall reject the application and give the applicant written notice of such rejection and the reasons therefor. (b) The expiration date and renewal period for each certificate of registration issued under this Act shall be set by rule. The holder of a certificate of registration may renew such certificate during the month preceding the expiration date thereof by paying the required fee. (c) Upon application, accompanied by the initial fee and compliance with the financial bonding requirements herein set forth, the Director shall issue an original certificate to each entity required to have a certificate if the application is received by the Department within 60 days of the effective date of this Act. Any collection agency to whom an original license is issued under this subsection (c) must meet the requirements of Section 7 of this Act to be entitled to a renewal license. Sec. 6a. Any registered collection agency whose certificate of registration has expired may have the certificate of registration restored by making application to the Department and filing proof acceptable to the Department of fitness to have the certificate of registration restored, and by paying the required restoration fee. However, any registered collection agency whose certificate of registration has expired while the individual registered or while a shareholder, partner, or member owning 50% or more of the shares of stock in a registered corporation has expired while he has been engaged (1) in federal service on active duty with the Army of the United States, the United States Navy, the Marine Corps, the Air Force, the Coast Guard, or the State Militia called into the service or training of the United States of America, or (2) in training or education under the supervision of the United States preliminary to induction into the military service, may have his certificate of registration restored or reinstated without paying any lapsed renewal fees, restoration fee or reinstatement fee if within 2 years after termination of such service, training or education other than by dishonorable discharge he furnishes the Department with an affidavit to the effect that he has been so engaged and that his service, training or education has been so terminated. (c) have an acceptable credit rating, have no unsatisfied judgments; and not have been officers of a former registrant under this Act whose certificates were suspended or revoked without subsequent reinstatement. Sec. 8. Before issuing a certificate or renewing one, the Director shall require each collection agency to file and maintain in force a surety bond, issued by an insurance company authorized to transact fidelity and surety business in the State of Illinois. The bond shall be for the benefit of creditors who obtain a judgment from a court of competent jurisdiction based on the failure of the agency to remit money collected on account and owed to the creditor. No action on the bond shall be commenced more than one year after the creditor obtains a judgment against the collection agency from a court of competent jurisdiction. The bond shall be in the form prescribed by the Director in the sum of $25,000. The bond shall be continuous in form and run concurrently with the original and each renewal license period unless terminated by the insurance company. An insurance company may terminate a bond and avoid further liability by filing a 60-day notice of termination with the Department and at the same time sending the same notice to the agency. A certificate of registration shall be cancelled on the termination date of the agency’s bond unless a new bond is filed with the Department to become effective at the termination date of the prior bond. If a certificate of registration has been cancelled under this Section, the agency must file a new application and will be considered a new applicant if it obtains a new bond. Sec. 8a. Fees. The Department shall provide by rule for a schedule of fees for the administration and enforcement of this Act, including but not limited to original licensure, renewal, and restoration. The fees shall be nonrefundable. All fees collected under this Act shall be deposited into the General Professions Dedicated Fund and shall be appropriated to the Department for the ordinary and contingent expenses of the Department in the administration of this Act. Sec. 8a-1. (a) No account may be referred by a collection agency to an attorney unless, prior to placing an account with an attorney for further collection action, each account creditor is notified in writing by the collection agency of the collection agency’s intent to refer the account to an attorney. The account may not be referred to an attorney if a creditor notifies the collection agency within 5 days after receiving the notice that the creditor is withholding authorization for the account to be referred to an attorney. The notice requirement under this subsection may, in the alternative, be satisfied if the creditor signs the complaint that will be filed in the circuit court seeking judgment on the debt owed. A collection agency shall not take any action that in fact or in appearance interferes with the professional relationship between the attorney and the creditor. (b) The consideration for the assignment may be paid or given either before or after the effective date of the assignment. The consideration may be contingent upon the settlement or outcome of litigation and if the claim being assigned has been listed with the collection agency as an account for collection, the consideration for assignment may be the same as the fee for collection. Sec. 8c. (a) Each licensed agency office shall at all times maintain a separate bank account in which all monies received on claims shall be deposited, referred to as a “Trust Account”, except that negotiable instruments received may be forwarded directly to a creditor if such procedure is provided for by a writing executed by the creditor. Monies received shall be so deposited within 5 business days after posting to the agency’s books of account. There shall be sufficient funds in the trust account at all times to pay the creditors the amount due them. (c) Notwithstanding any contractual arrangement, every client of a licensee shall within 60 days after the close of each calendar month, account and pay to the licensee collection agency all sums owed to the collection agency for payments received by the client during that calendar month on claims in possession of the collection agency. If a client fails to pay the licensee any sum due under this Section, the licensee shall, in addition to other remedies provided by law, have the right to offset any money due the licensee under this Section against any moneys due the client. (d) Each collection agency shall keep on file the name of the bank, savings and loan association, or other recognized depository in which each trust account is maintained, the name of each trust account, and the names of the persons authorized to withdraw funds from each account. The collection agency, within 30 days of the time of a change of depository or person authorized to make withdrawal, shall update its files to reflect such change. An examination and audit of an agency’s trust accounts may be made by the Department as the Department deems appropriate. A trust account financial report shall be submitted annually on forms provided by the Department. (1) Violations of this Act or of the rules promulgated hereunder. (2) Conviction of the collection agency or the principals of the agency of any crime under the laws of any U.S. jurisdiction which is a felony, a misdemeanor an essential element of which is dishonesty, or of any crime which directly relates to the practice of the profession. (3) Making any misrepresentation for the purpose of obtaining a license or certificate. (4) Habitual or excessive use or addiction to alcohol, narcotics, stimulants or any other chemical agent or drug which results in the inability to practice with reasonable judgment, skill, or safety by any of the principals of a collection agency. (5) Discipline by another U.S. jurisdiction or foreign nation, if at least one of the grounds for the discipline is the same or substantially equivalent to those set forth in this Act. (6) A finding by the Department that the licensee, after having his license placed on probationary status, has violated the terms of probation. (7) Practicing or attempting to practice under a name other than the name as shown on his or her license or any other legally authorized name. (8) A finding by the Federal Trade Commission that a licensee violated the Federal Fair Debt and Collection Act or its rules. (9) Failure to file a return, or to pay the tax penalty or interest shown in a filed return, or to pay any final assessment of tax, penalty or interest, as required by any tax Act administered by the Illinois Department of Revenue until such time as the requirements of any such tax Act are satisfied. (10) Using or threatening to use force or violence to cause physical harm to a debtor, his family or his property. (11) Threatening to instigate an arrest or criminal prosecution where no basis for a criminal complaint lawfully exists. (12) Threatening the seizure, attachment or sale of a debtor’s property where such action can only be taken pursuant to court order without disclosing that prior court proceedings are required. (13) Disclosing or threatening to disclose information adversely affecting a debtor’s reputation for credit worthiness with knowledge the information is false. (14) Initiating or threatening to initiate communication with a debtor’s employer unless there has been a default of the payment of the obligation for at least 30 days and at least 5 days prior written notice, to the last known address of the debtor, of the intention to communicate with the employer has been given to the employee, except as expressly permitted by law or court order. (15) Communicating with the debtor or any member of the debtor’s family at such a time of day or night and with such frequency as to constitute harassment of the debtor or any member of the debtor’s family. For purposes of this Section the following conduct shall constitute harassment. (A) Communicating with the debtor or any member of his or her family in connection with the collection of any debt without the prior consent of the debtor given directly to the debt collector, or the express permission of a court of competent jurisdiction, at any unusual time or place or a time or place known or which should be known to be inconvenient to the debtor. In the absence of knowledge of circumstances to the contrary, a debt collector shall assume that the convenient time for communicating with a consumer is after 8 o’clock a.m. and before 9 o’clock p.m. local time at the debtor’s location. (B) The threat of publication or publication of a list of consumers who allegedly refuse to pay debts, except to a consumer reporting agency. (C) The threat of advertisement or advertisement for sale of any debt to coerce payment of the debt. (D) Causing a telephone to ring or engaging any person in telephone conversation repeatedly or continuously with intent to annoy, abuse, or harass any person at the called number. (16) Using profane, obscene or abusive language in communicating with a debtor, his or her family or others. (17) Disclosing or threatening to disclose information relating to a debtor’s indebtedness to any other person except where such other person has a legitimate business need for the information or except where such disclosure is regulated by law. (18) Disclosing or threatening to disclose information concerning the existence of a debt which the debt collector knows to be reasonably disputed by the debtor without disclosing the fact that the debtor disputes the debt. (19) Engaging in any conduct which the Director finds was intended to cause and did cause mental or physical illness to the debtor or his or her family. (20) Attempting or threatening to enforce a right or remedy with knowledge or reason to know that the right or remedy does not exist. (21) Failing to disclose to the debtor or his or her family the corporate, partnership or proprietary name, or other trade or business name, under which the debt collector is engaging in debt collections and which he or she is legally authorized to use. (22) Using any form of communication which simulates legal or judicial process or which gives the appearance of being authorized, issued or approved by a governmental agency or official or by an attorney at law when it is not. (23) Using any badge, uniform, or other indicia of any governmental agency or official except as authorized by law. (24) Conducting business under any name or in any manner which suggests or implies that a debt collector is bonded if such collector is or is a branch of or is affiliated with any governmental agency or court if such collector is not. (25) Failing to disclose, at the time of making any demand for payment, the name of the person to whom the claim is owed and at the request of the debtor, the address where payment is to be made and the address of the person to whom the claim is owed. (26) Misrepresenting the amount of the claim or debt alleged to be owed. (27) Representing that an existing debt may be increased by the addition of attorney’s fees, investigation fees or any other fees or charges when such fees or charges may not legally be added to the existing debt. (28) Representing that the debt collector is an attorney at law or an agent for an attorney if he is not. (29) Collecting or attempting to collect any interest or other charge or fee in excess of the actual debt or claim unless such interest or other charge or fee is expressly authorized by the agreement creating the debt or claim unless expressly authorized by law or unless in a commercial transaction such interest or other charge or fee is expressly authorized in a subsequent agreement. If a contingency or hourly fee arrangement (i) is established under an agreement between a collection agency and a creditor to collect a debt and (ii) is paid by a debtor pursuant to a contract between the debtor and the creditor, then that fee arrangement does not violate this Section unless the fee is unreasonable. The Department shall determine what constitutes a reasonable collection fee. (30) Communicating or threatening to communicate with a debtor when the debt collector is informed in writing by an attorney that the attorney represents the debtor concerning the claim, unless authorized by the attorney. 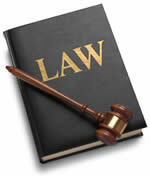 If the attorney fails to respond within a reasonable period of time, the collector may communicate with the debtor. The collector may communicate with the debtor when the attorney gives his consent. (31) Engaging in dishonorable, unethical, or unprofessional conduct of a character likely to deceive, defraud, or harm the public. (b) The Department shall deny any license or renewal authorized by this Act to any person who has defaulted on an educational loan guaranteed by the Illinois State Scholarship Commission; however, the Department may issue a license or renewal if the person in default has established a satisfactory repayment record as determined by the Illinois State Scholarship Commission. No debt collector while collecting or attempting to collect a debt shall engage in any of the Acts specified in this Section, each of which shall be unlawful practice. Sec. 9.1. Communication with persons other than debtor. (6) after the debt collector or collection agency knows the debtor is represented by an attorney with regard to the subject debt and has knowledge of or can readily ascertain the attorney’s name and address, not communicate with any person other than the attorney, unless the attorney fails to respond within a reasonable period of time, not less than 30 days, to communication from the debt collector or collection agency. (1) At any unusual time, place, or manner that is known or should be known to be inconvenient to the debtor. In the absence of knowledge of circumstances to the contrary, a debt collector or collection agency shall assume that the convenient time for communicating with a debtor is after 8 o’clock a.m. and before 9 o’clock p.m. local time at the debtor’s location. (2) If the debt collector or collection agency knows the debtor is represented by an attorney with respect to such debt and has knowledge of or can readily ascertain, the attorney’s name and address, unless the attorney fails to respond within a reasonable period of time to a communication from the debt collector or collection agency or unless the attorney consents to direct communication with the debtor. (3) At the debtor’s place of employment, if the debt collector or collection agency knows or has reason to know that the debtor’s employer prohibits the debtor from receiving such communication. (b) Except as provided in Section 9.1 of this Act, without the prior consent of the debtor given directly to the debt collector or collection agency or the express permission of a court of competent jurisdiction or as reasonably necessary to effectuate a post judgment judicial remedy, a debt collector or collection agency may not communicate, in connection with the collection of any debt, with any person other than the debtor, the debtor’s attorney, a consumer reporting agency if otherwise permitted by law, the creditor, the attorney of the creditor, or the attorney of the collection agency. (1) Advise the debtor that the debt collector’s or collection agency’s further efforts are being terminated. (2) Notify the debtor that the collection agency or creditor may invoke specified remedies that are ordinarily invoked by such collection agency or creditor. (3) Notify the debtor that the collection agency or creditor intends to invoke a specified remedy.If such notice from the debtor is made by mail, notification shall be complete upon receipt. (d) For the purposes of this Section, “debtor” includes the debtor’s spouse, parent (if the debtor is a minor), guardian, executor, or administrator. (3) That, unless the debtor, within 30 days after receipt of the notice, disputes the validity of the debt, or any portion thereof, the debt will be assumed to be valid by the debt collector or collection agency. (4) That, if the debtor notifies the debt collector or collection agency in writing within the 30-day period that the debt, or any portion thereof, is disputed, the debt collector or collection agency will obtain verification of the debt or a copy of a judgment against the debtor and a copy of the verification or judgment will be mailed to the debtor by the debt collector or collection agency. (5) That upon the debtor’s written request within the 30-day period, the debt collector or collection agency will provide the debtor with the name and address of the original creditor, if different from the current creditor. If the disclosures required under this subsection (a) are placed on the back of the notice, the front of the notice shall contain a statement notifying debtors of that fact. (b) If the debtor notifies the debt collector or collection agency in writing within the 30-day period set forth in paragraph (3) of subsection (a) of this Section that the debt, or any portion thereof, is disputed or that the debtor requests the name and address of the original creditor, the debt collector or collection agency shall cease collection of the debt, or any disputed portion thereof, until the debt collector or collection agency obtains verification of the debt or a copy of a judgment or the name and address of the original creditor and mails a copy of the verification or judgment or name and address of the original creditor to the debtor. (1) A copy of a police report filed by the debtor alleging that the debtor is the victim of an identity theft crime for the specific debt being collected by the debt collector. (B) A copy of the debtor’s driver’s license or identification card, as issued by this State. (G) Documentation of the residence of the debtor at the time of the alleged debt, which may include copies of bills and statements, such as utility bills, tax statements, or other statements from businesses sent to the debtor and showing that the debtor lived at another residence at the time the debt was incurred. (H) A telephone number for contacting the debtor concerning any additional information or questions or direction that further communications to the debtor be in writing only, with the mailing address specified in the statement. “I certify that the representations made are true, correct, and contain no material omissions of fact known to me. (c) If a debtor notifies a debt collector or collection agency orally that he or she is a victim of identity theft, the debt collector or collection agency shall notify the debtor orally or in writing, that the debtor’s claim must be in writing. If a debtor notifies a debt collector or collection agency in writing that he or she is a victim of identity theft, but omits information required pursuant to this Section, if the debt collector or collection agency does not cease collection activities, the debt collector or collection agency must provide written notice to the debtor of the additional information that is required or send the debtor a copy of the Federal Trade Commission’s Affidavit of Identity Theft form. (d) Upon receipt of the complete statement and information described in subsection (a) of this Section, the debt collector shall review and consider all of the information provided by the debtor and other information available to the debt collector or collection agency in its file or from the creditor. The debt collector or collection agency may recommence debt collection activities only upon making a good faith determination that the information does not establish that the debtor is not responsible for the specific debt in question. The debt collector or collection agency must notify the consumer in writing of that determination and the basis for that determination before proceeding with any further collection activities. The debt collector’s or collection agency’s determination shall be based on all of the information provided by the debtor and other information available to the debt collector or collection agency in its file or from the creditor. (e) No inference or presumption that the debt is valid or invalid or that the debtor is liable or not liable for the debt may arise if the debt collector or collection agency decides after the review described in subsection (d) to cease or recommence the debt collection activities. The exercise or non-exercise of rights under this Section is not a waiver of any other right or defense of the debtor or debt collector. (f) A debt collector or collection agency that (i) ceases collection activities under this Section, (ii) does not recommence those collection activities, and (iii) furnishes adverse information to a consumer credit reporting agency, must notify the consumer credit reporting agency to delete that adverse information. Sec. 9.5. Statute of limitations. No action may be filed against any registrant for violation of the terms of this Act or its rules unless the action is commenced within 5 years after the occurrence of the alleged violation. A continuing violation will be deemed to have occurred on the date when the circumstances first existed which gave rise to the alleged continuing violation. Sec. 9.7. Enforcement under the Consumer Fraud and Deceptive Business Practices Act. The Attorney General may enforce the knowing violation of Section 9 (except for items (1) through (9) and (19) of subsection (a)), 9.1, 9.2, 9.3, or 9.4 of this Act as an unlawful practice under the Consumer Fraud and Deceptive Business Practices Act. Sec. 9.22. Administrative Procedure Act. The Illinois Administrative Procedure Act is hereby expressly adopted and incorporated herein as if all of the provisions of that Act were included in this Act, except that the provision of subsection (d) of Section 10-65 of the Illinois Administrative Procedure Act that provides that at hearings the licensee has the right to show compliance with all lawful requirements for retention, continuation or renewal of the license is specifically excluded. For the purposes of this Act the notice required under Section 10-25 of the Administrative Procedure Act is deemed sufficient when mailed to the last known address of a party. Sec. 10. Complaints. Upon receipt of a consumer complaint alleging violation of this Act by a collection agency, the Department may require a written complaint on forms provided by the Department. The form shall identify the collection agency and provide for the complainant’s summary of the nature of the alleged violation and the facts that allegedly support the complaint. The form shall include a provision for the complainant to attest that the allegation therein made is true. The statement shall be in the following form. “I declare under penalty of perjury that the above statements are true and accurate. I hereby authorize the Department of Professional Regulation to make further inquiries to verify this statement. I understand that the contents of this complaint shall be forwarded to the business or person the complaint is directed against. I authorize the collection agency to disclose any information in my file to the Department of Professional Regulation.” Upon receipt of the complaint form, the Department shall furnish a copy of the complaint to the accused collection agency. The Department may demand all agency records concerning the complaint. The Director may order an investigation to determine the validity of the complaint. However, an investigation shall not be ordered by the Director unless a written complaint has been received from the consumer. All communications and investigations pertaining to a complaint other than a complaint alleging criminal activity shall be conducted with the knowledge of a proprietor, partner, or corporate officer of the collection agency, or his or her designee. Sec. 11. Informal conferences. Informal conferences shall be conducted with at least one member of the Licensing and Disciplinary Board in attendance. Notwithstanding any provisions concerning the conduct of hearings and recommendations for disciplinary actions, the Department has the authority to negotiate agreements with registrants and applicants resulting in disciplinary consent orders. The consent orders may provide for any of the forms of discipline provided in this Act. The consent orders shall provide that they were not entered into as a result of any coercion by the Department. Sec. 13. The Director shall formulate such rules and regulations, not inconsistent with law, as may be necessary to carry out the purposes and enforce the provisions of this Act. Sec. 13.1. Collection Agency Licensing and Disciplinary Board. There is created in the Department the Collection Agency Licensing and Disciplinary Board composed of 7 members appointed by the Director. Five members of the Board shall be employed in a collection agency registered under this Act and 2 members of the Board shall represent the general public and shall not be employed by or possess an ownership interest in any collection agency registered under this Act. (4) two members shall be appointed to serve for 4 years. All members shall serve until their successors are appointed and qualified. The Board members appointed to terms by this amendatory Act of 1995 shall be appointed as soon as possible after the effective date of this amendatory Act of 1995. The Director shall promulgate rules consistent with the provisions of this Act, for its administration and enforcement, and may prescribe forms which shall be issued in connection therewith. The rules shall include standards and criteria for licensure and certification, and professional conduct and discipline. The Department shall consult with the Board in promulgating rules. Notice of proposed rulemaking shall be transmitted to the Board and the Department shall review the Board’s responses and any recommendations made therein. The Department shall notify the Board in writing with explanations of deviations from the Board’s recommendations and responses. The Department shall solicit the advice of the Board on any matter relating to the administration and enforcement of this Act. Sec. 13.3. Powers and duties of the Board. The Director shall give due consideration to all recommendations of the Board, and in the event that the Director disagrees with or takes action contrary to the recommendation of the Board, he shall provide the Board with a written and specific explanation of this action. None of the functions, powers or duties of the Department with respect to licensure and examination, including the promulgation of such rules as may be necessary for the administration of this Act, shall be exercised by the Department except upon review of the Board. Sec. 14. Engaging in the collection of debts without first having obtained a certificate pursuant to this Act, or carrying on such business after expiration of the certificate or after receipt of a notice of revocation or suspension of the certificate is a Class A misdemeanor. The penalties provided by this Act shall not be exclusive, but shall be in addition to all other penalties or remedies provided by law. Sec. 14a. Unlicensed practice; Injunctions. The practice as a collection agency by any entity not holding a valid and current license under this Act is declared to be inimical to the public welfare, to constitute a public nuisance, and to cause irreparable harm to the public welfare. The Director, the Attorney General, the State’s Attorney of any county in the State, or any person may maintain an action in the name of the People of the State of Illinois, and may apply for injunctive relief in any circuit court to enjoin such entity from engaging in such practice. Upon the filing of a verified petition in such court, the court, if satisfied by affidavit or otherwise that such entity has been engaged in such practice without a valid and current license, may enter a temporary restraining order without notice or bond, enjoining the defendant from such further practice. Only the showing of nonlicensure, by affidavit or otherwise, is necessary in order for a temporary injunction to issue. A copy of the verified complaint shall be served upon the defendant and the proceedings shall thereafter be conducted as in other civil cases except as modified by this Section. If it is established that the defendant has been or is engaged in such unlawful practice, the court may enter an order or judgment perpetually enjoining the defendant from further practice. In all proceedings hereunder, the court, in its discretion, may apportion the costs among the parties interested in the action, including cost of filing the complaint, service of process, witness fees and expenses, court reporter charges and reasonable attorneys’ fees. In case of violation of any injunctive order entered under the provisions of this Section, the court may summarily try and punish the offender for contempt of court. Such injunction proceedings shall be in addition to, and not in lieu of, all penalties and other remedies provided in this Act. Sec. 14b. Penalty of unlawful practice; Second and subsequent offenses. Any entity that practices or offers to practice as a collection agency in this State without being licensed for that purpose, or whose license has been suspended or revoked, or that violates any of the provisions of this Act for which no specific penalty has been provided herein, is guilty of a Class A misdemeanor. Any entity that has been previously convicted under any of the provisions of this Act and that subsequently violates any of the provisions of this Act is guilty of a Class 4 felony. In addition, whenever any entity is punished as a subsequent offender under this Section, the Director shall proceed to obtain a permanent injunction against such entity under Section 14a of this Act. Sec. 16. Investigation; notice and hearing. The Department may investigate the actions or qualifications of any person or persons holding or claiming to hold a certificate of registration. The Department shall, before suspending or revoking any certificate of registration, at least 30 days before the date set for the hearing of the charges before the Board, direct him or her to file his or her written answer thereto to the Board within 20 days after the service on him or her of the notice, and inform him or her that if he or she fails to file an answer default will be taken against him or her and his or her certificate of registration may be suspended or revoked. This written notice may be served by personal delivery or certified mail to the respondent at the address of his or her last notification to the Department. In case the person fails to file an answer after receiving notice, his or her license or certificate may, in the discretion of the Department, be suspended, revoked, or placed on probationary status, or the Department may take whatever disciplinary action is considered proper, including limiting the scope, nature, or extent of the person’s practice or the imposition of a fine, without a hearing, if the act or acts charged constitute sufficient grounds for such action under this Act. The written answer shall be served by personal delivery, certified delivery, or certified or registered mail to the Department. At the time and place fixed in the notice, the Department shall proceed to hear the charges. The parties or their counsel shall be accorded ample opportunity to present statements, testimony, evidence, and arguments as may be pertinent to the charges or to the defense thereto. The Board shall be notified and may attend. Nothing in this Section shall be construed to require that a hearing be commenced and completed in one day. At the discretion of the Director, after having first received the recommendation of the Board, the accused person’s certificate of registration may be suspended or revoked, if the evidence constitutes sufficient grounds for such action under this Act. Sec. 17. Record of hearing. The Department, at its expense, shall preserve a record of all proceedings at the formal hearing of any case. The notice of hearing, complaint, and other documents in the nature of pleadings and written motions filed in the proceedings, the transcript of testimony, the report of the Board, and orders of the Department shall be in the record of the proceedings. The Department shall furnish a transcript of the record to any person interested in the hearing upon payment of the fee required under Section 2105-115 of the Department of Professional Regulation Law (20 ILCS 2105/2105-115). Sec. 18. Subpoenas; oaths; attendance of witnesses. The Department shall have the power to subpoena and to bring before it any person and to take testimony either orally or by deposition, or both, with the same fees and mileage and in the same manner as prescribed in civil cases in the courts of this State. The Director, the designated hearing officer, and every member of the Board shall have power to administer oaths to witnesses at any hearing that the Department is authorized to conduct and any other oaths authorized in any Act administered by the Department. Any circuit court may, upon application of the Department or designee or of the applicant, registrant, or person holding a certificate of registration against whom proceedings under this Act are pending, enter an order requiring the attendance of witnesses and their testimony, and the production of documents, papers, files, books, and records in connection with any hearing or investigations. The court may compel obedience to its order by proceedings for contempt. Sec. 19. Board report. At the conclusion of the hearing, the Board shall present to the Director a written report of its findings and recommendations. The report shall contain a finding whether or not the accused person violated this Act or failed to comply with the conditions required in this Act. The Board shall specify the nature of the violation or failure to comply and shall make its recommendations to the Director. The report of findings of fact, conclusions of law, and recommendation of the Board shall be the basis for the Department’s order for refusal or for the granting of a certificate of registration. If the Director disagrees in any regard with the report of the Board, the Director may issue an order in contravention of the report. The Director shall provide a written report to the Board on any deviation and shall specify with particularity the reasons for that action in the final order. The finding is not admissible in evidence against the person in a criminal prosecution brought for the violation of this Act, but the hearing and finding is not a bar to a criminal prosecution brought for the violation of this Act. Sec. 20. Motion for rehearing. In any hearing involving the discipline of a registrant, a copy of the Board’s report shall be served upon the respondent by the Department, either personally or as provided in this Act for the service of the notice of hearing. Within 20 calendar days after the service, the respondent may present to the Department a motion in writing for a rehearing which shall specify the particular grounds for rehearing. If no motion for rehearing is filed, then upon the expiration of the time specified for filing a motion, or if a motion for rehearing is denied, then upon denial, the Director may enter an order in accordance with the recommendations of the Board, except as provided for in Section 19. If the respondent orders a transcript of the record from the reporting service and pays for it within the time for filing a motion for rehearing, the 20 calendar day period within which a motion for rehearing may be filed shall commence upon the delivery of the transcript to the respondent. Sec. 21. Rehearing. Whenever the Director is not satisfied that substantial justice has been done in the revocation, suspension, or refusal to issue or renew a certificate of registration, the Director may order a rehearing by the same or other examiners. Sec. 22. Hearing officer. The Director shall have the authority to appoint any attorney duly licensed to practice law in the State of Illinois to serve as the hearing officer in any action for refusal to issue or renew a certificate of registration or to discipline a registrant or person holding a certificate of registration. The hearing officer shall have full authority to conduct the hearing. The hearing officer shall report his or her findings and recommendations to the Board and the Director. The Board shall have 60 calendar days from receipt of the report to review the report of the hearing officer and present its findings of fact, conclusions of law, and recommendations to the Director. If the Board fails to present its report within the 60 calendar day period, the Director may issue an order based on the report of the hearing officer. If the Director disagrees with the recommendation of the Board or of the hearing officer, the Director may issue an order in contravention of the recommendation. (1) That the signature is the genuine signature of the Director. (2) That the Director is duly appointed and qualified. (3) That the Board and the Board members are qualified. Sec. 24. Restoration of certificate of registration. At any time after the suspension or revocation of any certificate of registration, the Department may restore the certificate of registration to the accused person upon the written recommendation of the Board, unless after an investigation and a hearing the Board determines that restoration is not in the public interest. Sec. 25. Surrender of certificate of registration. Upon the revocation or suspension of any certificate of registration the registrant shall immediately surrender the certificate of registration to the Department. If the registrant fails to do so, the Department shall have the right to seize the certificate of registration. Sec. 26. Administrative Review Law. All final administrative decisions of the Department are subject to judicial review under the Administrative Review Law and its rules. The term “administrative decision” is defined as in Section 3-101 of the Code of Civil Procedure. Sec. 27. Certification of record; receipt. The Department shall not be required to certify any record to the court or file any answer in court or otherwise appear in any court in a judicial review proceeding, unless there is filed in the court, with the complaint, a receipt from the Department acknowledging payment of the costs of furnishing and certifying the record. Failure on the part of the plaintiff to file a receipt in court shall be grounds for dismissal of the action. Knowing and abiding to the proper Illinois debt collection laws is important for both creditors and collection agencies alike. There are debtor’s rights attorneys who are just waiting for creditors or collection agencies to slip up. If you mistakenly violate the Illinois debt collection laws, you could create a liability for your business and even open yourself up to a expensive lawsuit. Please note: Illinois debt collection laws can change over time, and you need to consult with an attorney before you use this information.